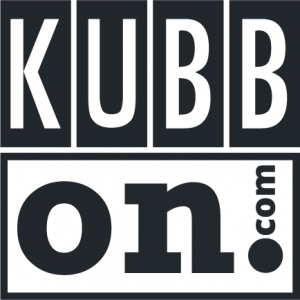 What The Heck Is Kubb? The Motown Kubb Showdown is the premiere kubb tournament in the Metro Detroit area. 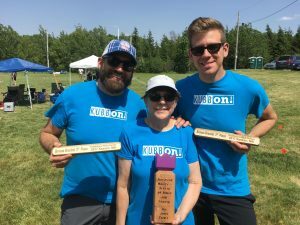 It is currently the only kubb tournament in Southeast Michigan, and one of three in the state (the other two are both held in Alanson, Michigan). Don’t let the name Motown Kubb Showdown intimidate you— this event is meant be a fun day for all players regardless of their experience playing kubb. No team? No problem! This tournament will be a scrambler (players will be randomly paired up with different teammates for each round, earning points for wins/ties, and then seeded into the championship scrambler rounds). Kubb United’s Rules for Open Play format will be used. 100% In-bounds and the Friendly Neighbor Rule will be used. 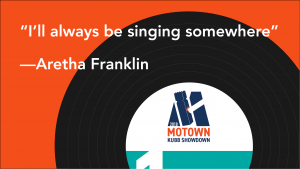 Get in the groove with the hits of Motown throughout the day! This year, in honor and remembrance of Nancy Jones (enthusiastic kubb player and mother of Bryan and Christopher Jones of Motor City Kubb and Kubb On) as well as Detroit native Aretha Franklin, proceeds from the Motown Kubb Showdown will be donated to the Lustgarten Foundation. The Lustgarten Foundation is a non-profit organization created to advance science related to the diagnosis, treatment, cure, and prevention of pancreatic cancer. Both of these incredible women fought hard to overcome this disease but unfortunately lost that fight. We wish to use this opportunity to honor these women and to contribute to awareness and advancementsin research to eradicate pancreatic cancer. We thank you for your support and hope to see you September 22nd, 2018 at Walter and Mary Burke Park in New Baltimore, MI. Diggin’ the sweet sound of the Motown Kubb Showdown but not sure what kubb is? No problem! Throughout the summer leading up to the tournament, Motor City Kubb will be hosting meet-ups where anyone can come learn how to play kubb or practice their game. Stay tuned for more information about these casual kubb gatherings. Stop, in the name of kubb! The Motown Kubb Showdown is coming to New Baltimore, Michigan on Sept. 22nd! Big thanks to our sponsors!